When Are Nursing Homes Liable for Injuries? It is a sad reality that those who most need assistance are also most likely to be neglected or abused. For example, recently, two New York nursing home workers were indicted for endangering a patient. They ignored his cries for help while he writhed on the floor. But even less extreme cases end in injury, if not in criminal cases. Caring caregivers can sometimes be overwhelmed by the difficulty of their jobs and that leads to accidents. Nursing homes are liable to patients who are injured as a result of negligence and there are many contexts for liability in a nursing home. Institutions can be held responsible for a negligent worker, and any individual who is negligent can also be named in a suit. A nursing home can unfortunately be negligent in many ways. 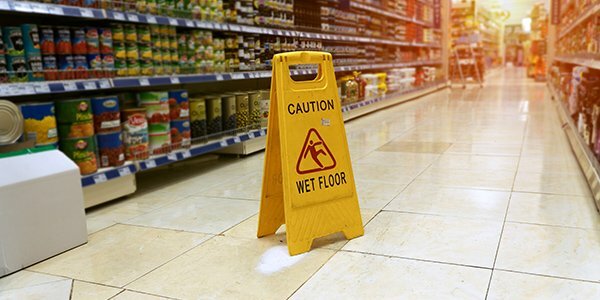 A small mistake like forgetting to warn that a floor is wet can have very serious consequences for an elderly person. Nursing homes are responsible for keeping their premises safe for patients and can be sued for a standard slip and fall, just like any other business. But these facilities do more than most businesses. They feed and care for patients all day and night and can sometimes access certain financial accounts, as well as administer medication and give medical care. Any nursing home staff member, administrative, medical, janitorial, or otherwise, who fails to provide the standard of care that is reasonable under the circumstances can be held liable for injuries they caused. Any injury that arises from a failure to provide the care due patients who rely on full-time assistance is a home's responsibility if you prove negligence. But because these places do so much for patients, an exhaustive list of possible injuries is impossible to compile. Homes can commit economic frauds that cause injury as well as causing physical harm to patients through medical negligence or lack of care. These harms can all be addressed in lawsuits, and which claim to make will depend on injury specifics. Think of it like this: a nursing home has all the liability of a cafeteria, hotel, and hospital rolled into one, plus some. That is to say, these facilities operate to accommodate multiple needs, unlike many other businesses. As such, there is much more that can go wrong, and when things go wrong, lawsuits often follow. If someone you love has been injured in a nursing home, consult with an attorney and tell the story. Find out your options. Many attorneys consult for free or a minimal fee and will be happy to assess your case.